Gift cards purchased online may not be used at our Champaign location. Please contact Style and Grace Salon & Day Spa to purchase gift cards for this location. 217-355-0505. 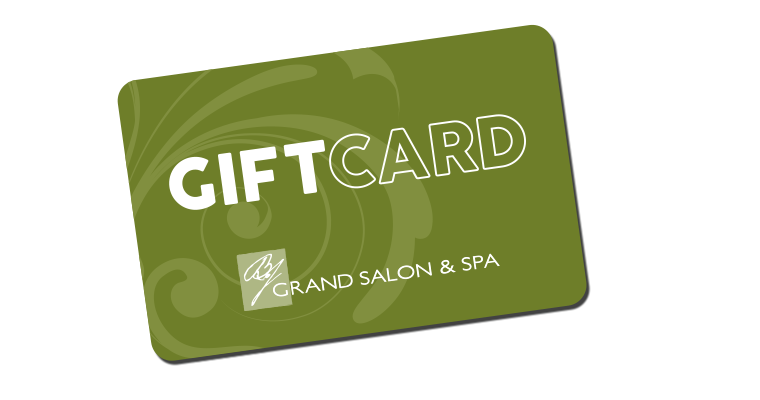 You'll bring a smile to their face every time with a gift card from BJ Grand Salon & Spa. Perfect for birthdays, anniversaries, special occasions or no occasion at all! Gift cards may be purchased in any denomination and used by the recipient for ANY salon or spa service or any product we offer including do. Active Products. Why keep them guessing? Check out our Price Menu for a complete list and description of spa services. Then, fill out your Spa Wish List and let them know what service you’d really love to have from BJ Grand Salon & Spa.